2Are you including the Remote control? 3Are you including the power cord? Has functional defects (i.e., its ports are non-functional, the system fan does not function, the logic board is dead and so on). May have deep/moderate scratches, scuffs, dents. Has never been used or looks like a new Apple TV. Absolutely no scratches, flaws, dents, nicks and/or scuffs on body or stand. Where Have All the Old Apple TV 2nd Generations Gone? Step 1: Choose your TV’s generation. Step 2:Will you include the remote?. Step 3: Will you you include the power cord? Step 4: WIn what condition is your Apple TV? : Broken, Fair, Good, or Flawless. When you first got your Apple TV 2nd Generation, you were wowed by its splendor. But to say this device is outdated is an understatement. Chances are, your poor Apple TV has probably been in hibernation for years, and Apple has perfected such devices many times over. You may be tempted to toss your old TV in the trash—don’t do it! Even if it’s in seriously crummy condition, we’ll pay you the best price in the market for what it’s worth. Best of all, it will take only a few minutes of time and won’t raise your blood pressure one iota! Part 1 starts with the instant, free quote we’ll send you after you answer our questions. In all likelihood, you’ll agree it’s a fair deal. Once you’ve provided your contact information and preferred method of payment (PayPal, Chase QuickPay, Amazon gift card, or check), we’ll send you an email confirmation with a prepaid shipping label so you can send your Apple TV into the sunset. Your package will also be fully insured against loss or theft, so if some crazy person receives it by mistake and refuses to part with it, it won’t cost you a cent! Once you send us your device, you can breathe a sigh of relief; you’re halfway there! Part 2 starts when we gleefully receive your Apple TV 2nd Generation and look it over. If it’s in the condition you described, you’re good to go; if not, we’ll issue a revised offer. Either way, you’re free to back out now if you wish, and we’ll happily return your Apple TV with no complaint. If you accept our offer, you’ll receive payment in 1-2 business days. Hip hip hooray, your payment is on its way! Why Delay? Sell Us Your Used Apple TV 2nd Generation Today! Our company is fully registered to buy used electronics online, and we’ve been doing it successfully since 2011. In a sea of online resellers, our customers see us as a safe harbor. Why? Because we understand you’re probably new at this, and we’re there to patiently guide you and answer any questions. Our mission is to make your transaction go like clockwork. We invite you to read the customer reviews on our website Testimonials page and find out why we’ve earned a five-star rating. Trusted platforms like the Better Business Bureau and ResellerRatings.com have also consistently given us high grades. To find out what the buzz is all about, look us up on Facebook, Twitter, and Instagram. For the latest in tech news and practical knowledge, be sure to check out our website Blog, Apple Encyclopedia, Microsoft Encyclopedia, and iReflexions, where you will find a treasure trove of articles that are sure to captivate you. To easily find the above pages and links, go here: What's iGotOffer. Don’t forget to pack your Apple TV 2nd Generation with care so it gets to us safe and sound. Please consult the shipping instructions found on our website: Shipment Guidelines! 4K - 5th generation: A1842. 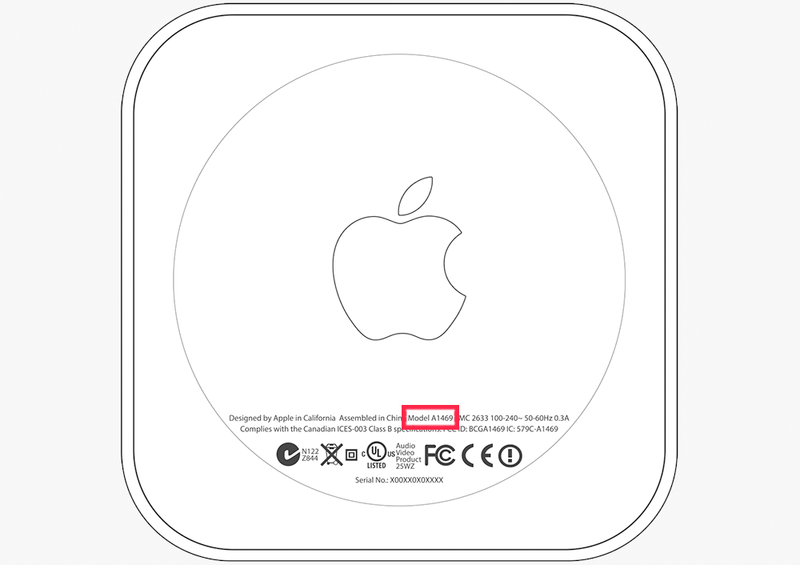 Please note that we buy only those Apple TV models which have clickable links on them. Are you including the Remote control? Are you including the power cord?